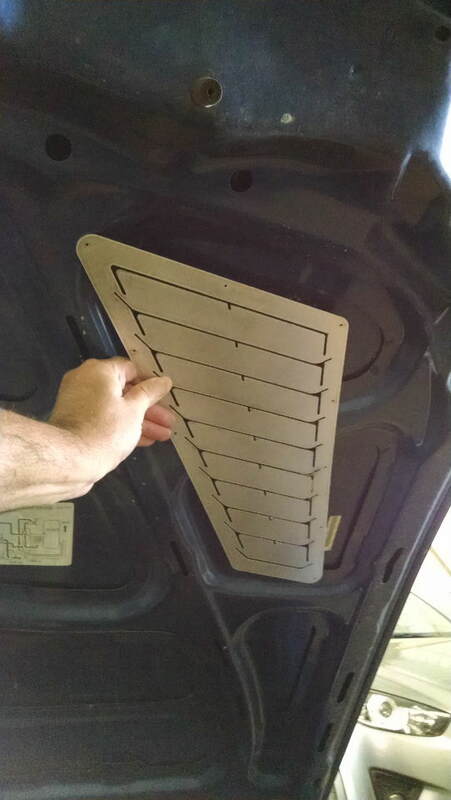 These Louvers are designed to fit ’99-05 Mazda Miata hoods. They align with the hood bracing on the bottom of the hood for ease of fitment and minimal cutting to the bracing under the hood. 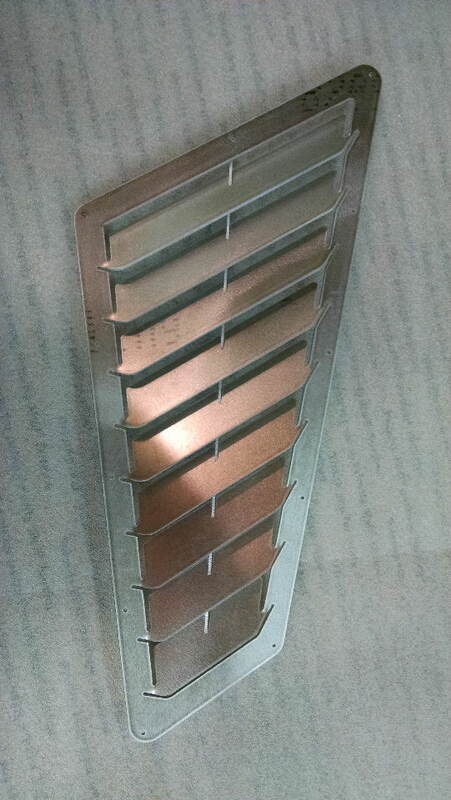 These Louvers are surface mount, meaning that they mount directly to the top surface of the hood. This offers the advantages of hiding the cut edge of the hood surface, as well as making the layout and installation easier. 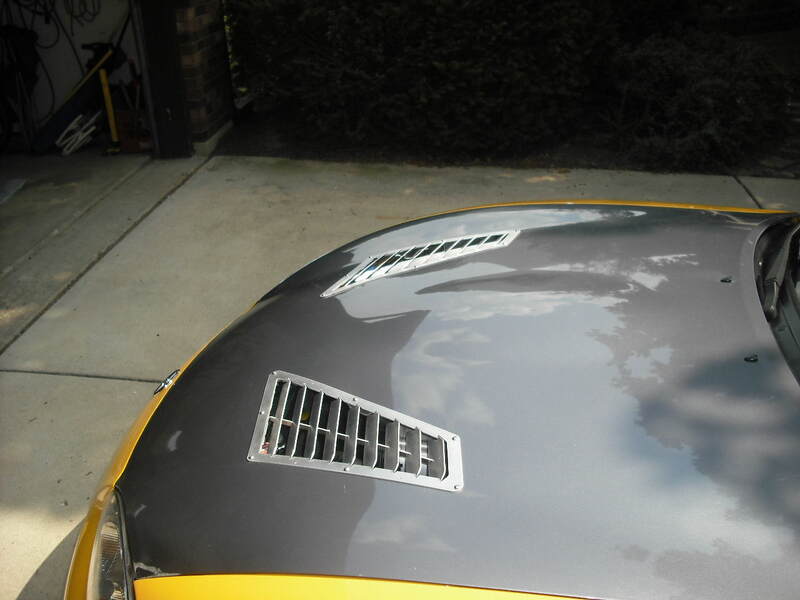 These are positioned so that they remain on the “flat” part of the hood where there are no abrupt changes in hood contour to complicate fitment of the louvers to the hood. The louver brace is already curved to match the curvature of the hood, so once you get the louvers formed and the brace installed, the panel will naturally match the hood curvature. The brace that supports the louver blades is only about 3/4″ below the surface of the hood, and it appears that the bracing on the hood extends down farther than that, so it is possible that you may be able to leave the bottom portion of the hood bracing in tact if you were concerned about retaining as much hood strength as possible. 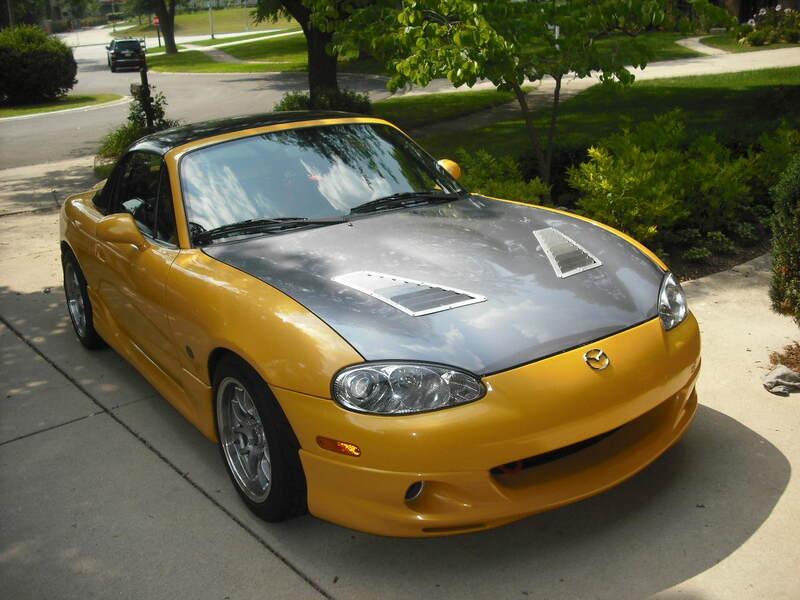 With that strip of hood bracing across the bottom of the louvers, and the louvered panel riveted across the top, you will end up retaining the vast majority of your hood strength. These louvered panels are extremely strong and rigid once assembled. The tops of the louver blades stand proud from the hood surface. This is done to create a low-pressure area behind each louver blade, aiding in the flow and extraction of heat and pressure from below the hood. 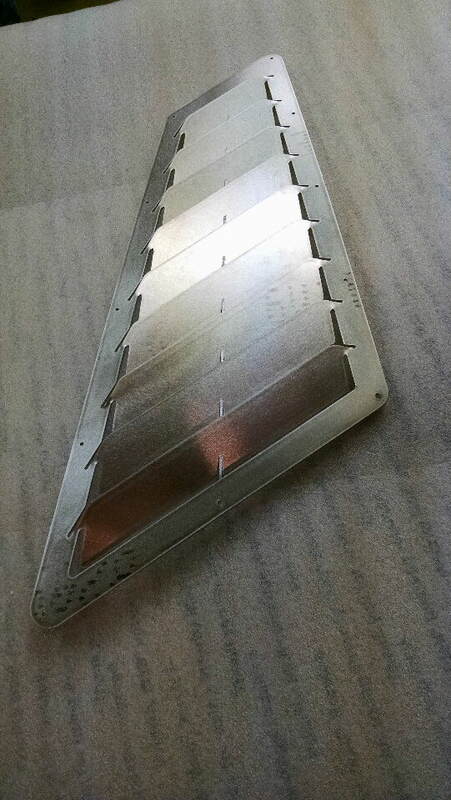 Louvers are shipped flat. 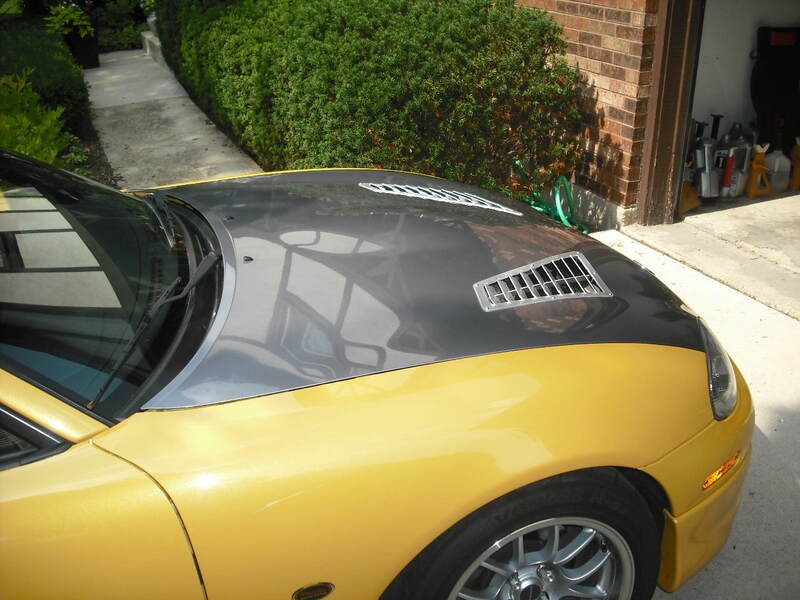 This is done so that you can lay the louvers flat out on your hood and use them as a template, so you can trace around the louver blades and transfer those marks directly to your hood. 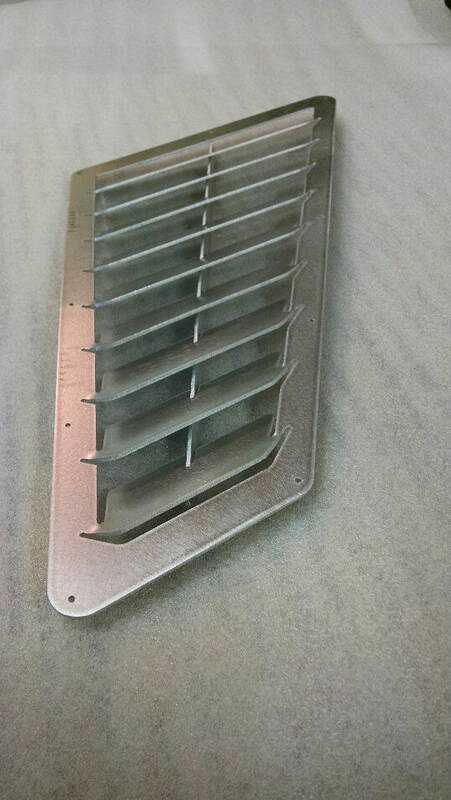 Louvers are in stock and ready to ship. If you would like to order, please send an email to vraptor@midlands.net and give your name and address. We will reply with a shipping quote and payment information.